Thank you for making our 2018 caucuses a success, Maine Democrats! Victory starts here — with all of us. Democrats across our state turned out in record-breaking numbers this year to stand up and be counted as we kicked off our effort to win in November. At caucus, we rallied together to make clear why we are Democrats and what we are fighting for. Maine Democrats caucusing in Bangor. Check out the full caucus photo album on Facebook! Caucus attendees elected their delegates to our 2018 Democratic State Convention. Check out our Convention page to learn more about this year's convention. A Maine Democrat caucusing in Portland. Check out the full caucus photo album on Facebook! 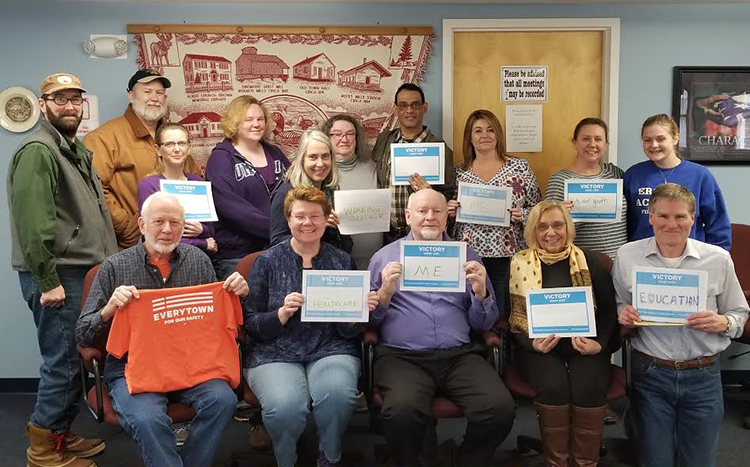 In every corner of Maine, caucus attendees participated in a statewide virtual rally. 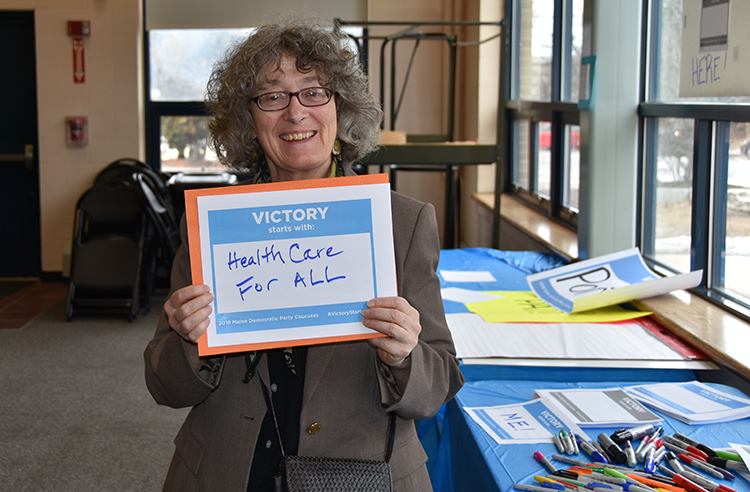 Folks made signs describing what Democratic victory meant to them and shared their caucus signs on social media through our caucus hashtag #VictoryStartsHere. Together, we shared a strong, positive Democratic message directly from our grassroots. Maine Democrats caucusing in China. Check out the full caucus photo album on Facebook! Our party grows stronger when more people like you get involved. Following our record-breaking turnout at caucus and convention, we must keep up momentum. Join us — sign up to volunteer or check our events calendar to find opportunities to get involved near you! 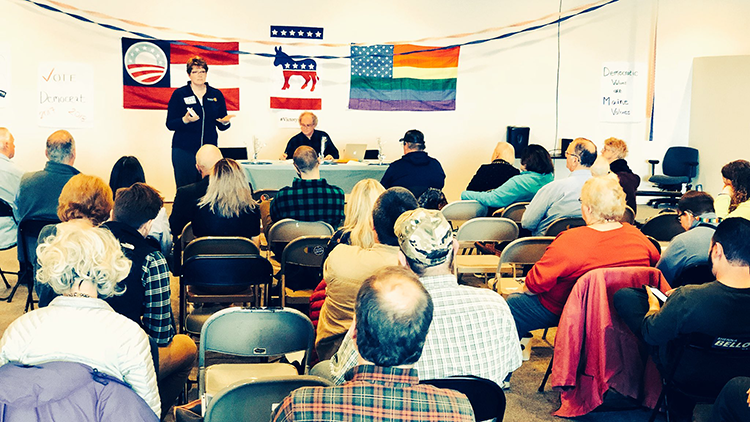 Did you attend our Maine Democratic Party caucuses this year? Fill out our survey to share feedback on your experience!